The deadline to submit an online Withdrawal from Course or an Application for Pass/Fail Form is Friday, April 6th. Policies for both Pass/Fail and Withdrawal from Course are copied below from the 2017-2018 Undergraduate Catalog. Instructors are required to notify students of their academic standing no later than the end of the ninth week of the semester, or after two-thirds of a summer session or January Term. If a student does not officially withdraw from a course and stops attending, a grade of E will be recorded. Students who wish to leave a course after the drop/add period and before the final withdrawal date (the end of the 10th week of the semester, or after two-thirds of a Summer Session or January Term) may withdraw via Self Service Banner. Nonattendance at the first class meeting does not withdraw a student from a class.  Students withdrawing from some coursework may be eligible for a refund in accordance with the college refund schedule, which is posted each term at studentaccounts.buffalostate.edu/. Beyond the end of the refund schedule’s time limit, full charges are assessed. Student-teaching courses have different deadlines. Students should check with their departments. Withdrawals remain on the transcript and are recorded as W’s but do not count in credit hours or GPAs. Withdrawal from a course may affect eligibility for financial aid in the current semester and in future semesters. For additional information about financial aid eligibility, refer to the financial aid section of this catalog, or online at financialaid.buffalostate.edu/. Before withdrawing from a course, careful thought should be given to the reasons for withdrawing and possible consequences. Course Withdrawals can have a negative impact on both your progress toward graduation and eligibility for financial aid. Withdrawal from Course should be used infrequently and considered an action of last resort. It is to your advantage to read the instructions under Withdrawal from Course at registrar.buffalostate.edu/withdrawal-course before withdrawing.